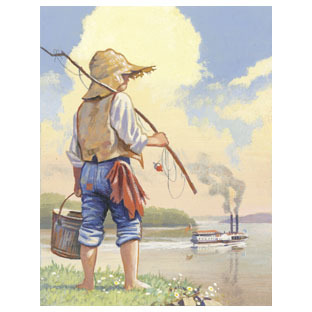 Pondering the word “journey” brings an image to my mind of a hobo boy dressed in patched clothing, carrying his only belongings in a homemade sack tied to a stick. He whistles as his feet scuffle the dusty road. Along the way he stops to examine a ladybug determined to stand her ground against a very rude ant. This little boy is not heading in any particular direction or to any specific destination. Instead, his goal is to LIVE, to survive, to embrace all that life has to offer, whatever that may be, trusting that the Lord will provide for his every need. And then we found CC. From the start, the teacher in me knew without a doubt that this brand of education — the classical kind — was the missing link in my own education. My brainy daughter and I jumped right in and ushered an Essentials-only campus into a full one with both Foundations and Essentials classes. A couple of years later, my one and only child was ready to take on a new journey in Challenge A. We were all set to jump into Challenge with the enthusiasm we’d had for Foundations…only to discover that Challenge A was…well…very challenging! My social daughter longed for more face time with her CC friends, but we were having a difficult time balancing the work load. Do not be misled: Challenge A is the beginning of a learning curve in time management. My health problems became an issue, and I ended up having major surgery in the middle of the semester. I was not back to myself for nearly three months. Outings to meet CC friends for “face time” were pretty much non-existent while I was recovering…and my only child got lonely. She began dreaming about what it would be like to be part of a “real” school. My husband and I prayed about it and investigated a local university model school. We fell in love with the tight community and wanted that kind of regular social interaction for our daughter. Like the hobo boy wandering down the road, examining rocks, we picked the fork in the road that led to the school and did not continue with Challenge A in the second semester. A university model school operates on the premise that parents are co-teachers. Students attend classes three days a week and then have work at home to do on the other days. The one my daughter attended was excellent, with an amazing chapel service three days a week, loving teachers, top notch academics, and very sweet students. However, it was also, in fact, a school, with school rules and regulations and uniforms and tests and grades and cliques and mean girls. Sometimes the hobo boy goes down a path awhile but then is forced to turn back and retrace his steps. Maybe the path is overgrown with thistles or leads to the lair of a mountain lion. Whatever the reason, the hobo turns back and reverses direction. He’s learned something about the path he is on and about himself. God has something to teach this boy no matter where his feet take him. This is the situation we find ourselves in after finishing up this semester at the university model school. Like the prodigal son, we’ve gone outside of homeschooling for awhile to see how the other half lives. Although we aren’t quite wallowing with the pigs, there have been days when we’ve felt like that would be a preferable occupation. Life out here in the school world — even the private, 3-day-a-week Christian school world — is tough. God has used this experience, however, to teach us valuable lessons about Him and about ourselves. Perfectionism is ugly. This lesson has been learned the hard way. My perfectionism came out roaring as I placed incredibly high expectations on my child. I expected her to perform college-level work as a 7th grader. The sad part is that she expected that of herself as well. She pushed herself too hard and ended up suffering from insomnia, anxiety, and depression. The problem with perfectionism is that it ignores the perfecting power of the Lord and the reality of our need for Him. Yet had we not taken a short detour from CC, we wouldn’t have seen –at least in such a large way — the ugliness of perfectionism in our lives. Now we see it, and I recognize that some of the angst about Challenge A was due to this hobo’s insistence that everything be done perfectly and perfectly done. Now I see that perfectionism is a family sin that we now need to confess daily. God has used this twist in our journey to show us the extent that perfectionism has taken root in our attitudes. A perfectionist is rarely prideful — rather, she often examines her actions and engages in self whipping for those things she could have done better. “Yes, those muffins tasted pretty good…but I really should have added xyz, and I used a mix instead of making it from scratch, and probably my whole family will end up getting diabetes because I fed them too much sugar, and I should have used organic blueberries and raw milk instead…” See what I mean? Had we not taken this twist in our educational journey, I don’t know that we would have been made as aware of our need for the Lord to restore us in this regard. We’ve learned to appreciate the flexibility and family time that homeschooling provides. Although the work load with Challenge A and the UMS was similar, we had more flexibility with Challenge. If we wanted to load up the car and visit Grandma, we just took along the work and went! On the other side of the fence in our school life, when Grandma came to visit during a school performance and we checked our child out of school for the afternoon so she could visit with her grandparents, we were told she would have an Unexcused Absence. This kind of absence meant that all grades given that day would be recorded as a 0. Ironically, during our unexcused lunch, we enjoyed a robust conversation about WWII and how my grandmother remembered that one day, suddenly all the men were gone. We learned that my dad is named after his Uncle George who was part of the wave of air troopers who parachuted onto Normandy. His parachute got snagged in a tree, and he dangled for three days before someone cut him down, thinking he was dead. He recovered but died a little over a year later from injures he’d sustained while being battered in that tree. Unexcused? Homeschoolers are used to learning EVERYWHERE. Classrooms are not necessary. Grades are not necessary, either. Many homeschooling parents issue grades, but I have been more concerned with mastery of material rather than with grades. For example, my daughter became a Memory Master during Cycle 2. (And yes, we still sing those history sentences!) Being at a school again made it very clear to me how grades are used to evaluate — and not always in good ways. One of my daughter’s teachers had a practice of requiring students to do a certain number of questions but then grading only a few of them, and students did not know which questions would be graded. As an educator (and as a mother) I believe if a teacher requires work to be done for a grade, the entire work should be graded so that credit is given…which leads me to my next lesson. Grades can be punitive — and evil. Satan uses anything as a tool to tear down and destroy. In our case, my daughter began to equate her personal worth with the grade assigned to her work. If she did not make a perfect score, she felt less worthy as a person. What, exactly, is the purpose of education? Building wisdom up in a child…or tearing down that which a child has not yet mastered? Her focus shifted from “what new knowledge can I learn?” to “What will my teacher think this is worth?” The anxiety associated with this new focus led to insomnia, anxiety, depression, and loss of appetite. We began seeing a total change in our daughter’s demeanor. “No one wants to be my friend. I’m worthless. I’m a piece of trash. I wouldn’t want to be my friend. I’m stupid. It would have been better if I hadn’t been born.” These toxic words came out of my daughter’s mouth from the trembling depths of her soul. I looked in her eyes and saw more than a young teenager struggling with mood swings. I saw my own ugly perfectionism taking root in her as she shifted her focus from learning…to earning. Classical education is the best fit for our family. One of the aspects my daughter missed the most about CC was having one teacher for all areas of study. Changing classes in junior high was overwhelming and stressful. The small class size and dialectic discussions in Challenge were not to be had in her junior high classes where the classroom lecture was emphasized. Mean girls exist in Christian schools, and the larger class sizes make it possible for caring teachers to have NO IDEA what is happening behind the scenes. This scenario is not as possible in a Challenge class since the class sizes are smaller and the single tutor has eyes and ears on situations and can immediately address any problems that may develop. Moving forward, we tighten our knapsacks and dust off our pants, confident that the Lord will continue to work in and through us, no matter which way the road ahead leads. I feel so blessed by our CC family that has continued to BE a family even as we took a detour this past semester. This family love and acceptance was made evident one day last month when we attended CC’s Year-End Celebration. Earlier that same evening my husband and I had come to the decision that for all the above reasons and because of a job change, we would not return to the private school and would be going back to CC. Walking through the doors and seeing all the familiar faces felt like coming home. Seeing my daughter’s struggles to fit into the cliques and make friends at the school had fractured my mama’s heart in a thousand pieces that began to heal the moment we walked through those CC doors. At least ten girls approached me and asked if I brought my daughter with me. When I replied, “yes,” they breathlessly asked where she was and then dashed off — squealing! — to hug her and welcome her back. The sight of her sitting in the sanctuary, surrounded by sisters in Christ who knew her and loved her and welcomed her with such heartfelt joy brought tears to my eyes. We HAD community all along — thanks be to God, who heals the brokenhearted and brings us into community that loves us whoever we are, wherever we may have walked. We hobos have been welcomed back and loved just as we are…dusty bottoms, dirty knapsacks and all. I love this and loved it when you read it to us today at the CC practicum. I just read it to my husband. We identify with some of the things your daughter struggled with — and our kids are younger! May God rid us of our perfectionistic ways! Thank you, Cindy! My prayer is that others will be encouraged by our story! Previous Previous post: Echoes of Marley? Next Next post: The girl has a brain!